The first teardown of the iPhone XS is here, and surprisingly it was performed by someone other than iFixit. Regardless, the innards have been revealed and there are some subtle changes, including a smaller battery capacity in the handset compared to the capacity present in the iPhone X. 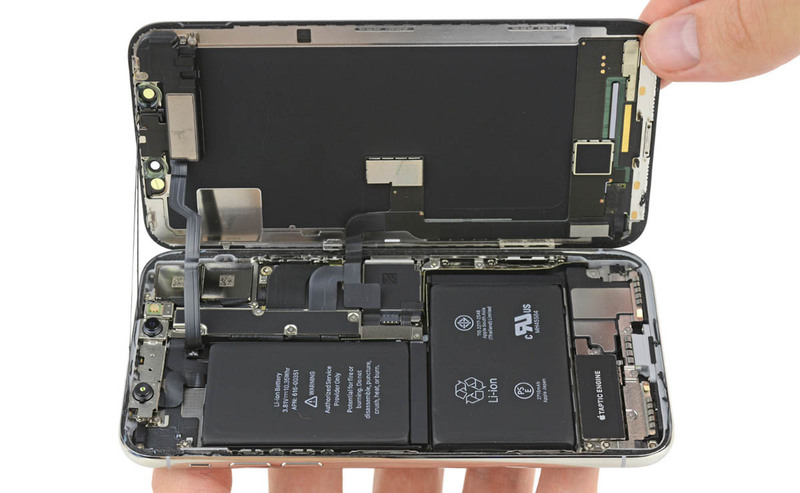 The Dutch YouTube channel Fixjeiphone NL got its hands on the latest iPhone XS and performed a teardown in a very professional manner and with the right tools. The expert that was performing the teardown knew what he was doing, as he powered down the smartphone and started the process. It can be seen that the display is difficult to separate from the chassis because Apple has added more dust and waterproofing seals, which is why the tech giant highlighted the IP68 rating instead of IP67 during its keynote. Moreover, this means that the iPhone XS has been rated to survive for 30 minutes while being submerged in 2 meters in fresh water. However, we continue to warn readers not to take their devices or any other electronics near dust or bodies of water as it can result in irreparable damage to the device or gadget with pretty much no love from the warranty department of that item’s manufacturer. Also, instead of using two batteries as Apple did with the iPhone X, the iPhone XS features a single L-shaped cell that is also smaller in capacity. However, the company has highlighted that the device will be able to provide 30 minutes better battery endurance than its predecessor possibly because of the 7nm FinFET A12 Bionic chipset. If you want to check out the entire teardown, the video has been given below and also let us know what sort of changes you managed to find in this clip. Have you purchased the iPhone Xs, iPhone Xs Max or will you wait for the cheaper, but featured-enriched iPhone XR?